These days when compact cameras (and some DSLRs too) are speced with “art filters” like Fish Eye, Retro Camera, Toy camera, etc and so on, it reflects the trend of today’s photographers. Photogs are basically turning experimental these days and looking through practically almost everything that allows light. And with the recent revival of film cameras & lomography, photographers are really looking for more things to “play” with. Subjektiv recently launched a 4-in1 lens kit that allows the user to select the “insert” to create the desired effects. Though called “4-in-1”, you get 5 inserts. The 5 inserts are Apeture, Pin Hole, Plastic, Zone Plate & Glass. This kit works purely on bending lights and manipulating the throw to create the special effects. If you are thinking along the line of “LensBaby”, nope, they are certainly not the same and they works differently. Available in Canon & Nikon Mount (as usual) & adaptors for the Sony Alpha, Pentax (both with focus confirmation chip) are available. 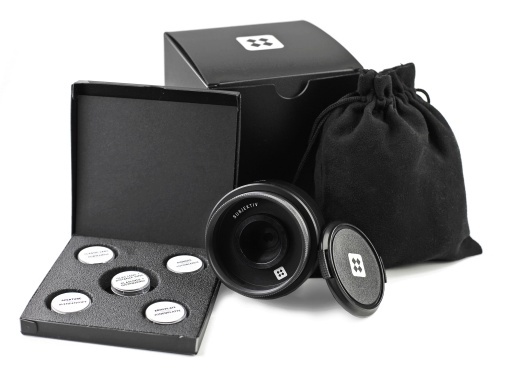 Package comes with a Pouch, 4 lens inserts, lens & lens cap. This entry was posted in Brand: Others (Cosina, Carl Zeiss, Leica, Mamiya, Samyang, Vivitar, Zenitar,etc) and tagged Accesories, DSLR, Lens, Photography, Subjektiv. Bookmark the permalink.